The kids are almost back in school and we have another month before the summer season officially ends. But before the temperatures start to cool down, here are five things you need to do with the family in San Diego County. This gem of a park is even more beautiful in the summer. 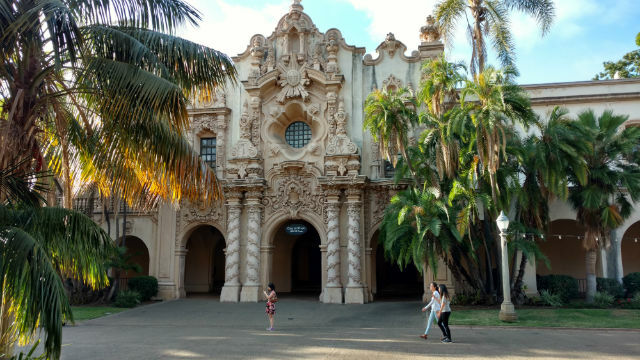 Home to more than a dozen museums and the world famous San Diego Zoo, Balboa Park is the perfect family spot to visit. Explore the California Tower or play at the Reuben H. Fleet Science Center or even just have a picnic along many of the grassy areas before summer ends. Whether you’re looking for something on the beach or in the valleys, San Diego County is home to many hikes for all levels. A family hike is a great opportunity to explore the environment as well as take in the scenes. Here are just five hikes worth trying. What better way to enjoy the summer weather than an evening movie in the park? Thankfully, San Diego County’s parks are hosting all sorts of movies in the summer. From the Disney favorite “Moana” to the classic “Sandlot,” here’s a complete list of movies showing at various parks. The Children’s Discovery Museum is a hidden treasure in North County. Located in Escondido, the museum offers interactive and fun exhibits for children of all ages. Best of all, it’s only $8 to get into the door. Pack a picnic to spend the day at the museum. Isn’t it totally obvious that you need to visit one of the many San Diego County beaches before summer ends? Whether you want to relax on the sand or play some volleyball or cruise down the boardwalk, there’s a beach in the region for everyone. If you’re looking for more excitement, try Mission Beach or if you want a family-friendly spot, try Moonlight State Beach. Want to try something new? Imperial Beach is quickly becoming a hot spot in town with new restaurants opening up all the time.